With your first visit to our practice, our goal is to establish a relationship of trust with you. For your first visit, we ask that you come 15 minutes early so that we can obtain important information, like your medical history. You may use the links in the Patient Forms Section below to fill out your paperwork ahead of time. Patient Information and Health History Form – Your dental health makes up a very important component of your total health. HIPAA Forms for Health Information Privacy – Your privacy is important to us. There are situations where we need to make referrals, consult with other doctors, and send information to insurance companies. You can read more on the HIPAA policy here. Patient Consent for Dental Treatment Form – We feel that an informed and educational relationship with our patients leads to better communication and treatment outcomes. Please bring any questions you have about dental treatment and please fill out our Consent Form. 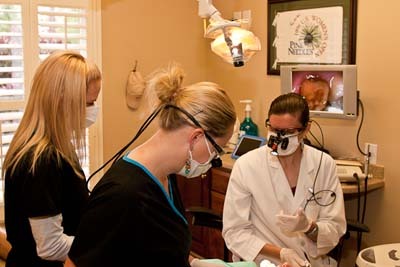 We use a personalized, automated system to remind our patients of their dental appointments. The incoming call will show on caller ID and the message will be left on your answering machine if you are unable to take the call.